With strikers Cenk Tosun and Dominic Calvert-Lewin struggling in front of goal, ​Everton have had to look elsewhere for their goals this season.​ Both ​Richarlison and Gylfi Sigurdsson have come up with the goods, but teams don't often make it far without a reliable forward. Fortunately for the Toffees, recruitment guru Marcel Brands has identified ​Birmingham City starlet Che Adams as the solution to their problem. According to ​Football Insider, Brands sees the 22-year-old as a certified future star, and they will do all they can to sign him this summer. Adams has racked up 22 goals in the ​Championship this season, prompting interest from the likes of ​Southampton and ​Burnley. Everton need goals, and Adams scores plenty of them. Seems like a match made in heaven. As soon as any player looks even slightly good, they tend to get linked to ​Manchester United. 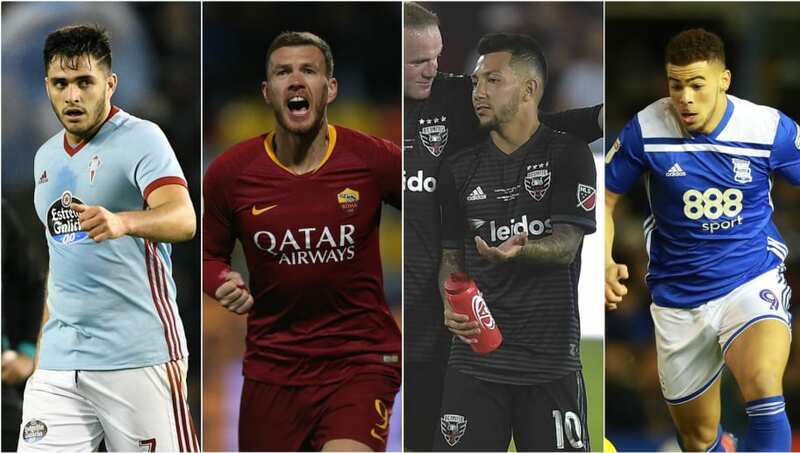 The latest man to find himself on their radar is D.C. United star Luciano Acosta, but there actually is some substance to this story. Scouts from the Red Devils went to watch Acosta in Saturday's 4-0 defeat to Los Angeles FC, and the 24-year-old ​admitted that he was delighted to have drawn interest from such a big club. Unless you've been living under a rock for the last year, you've probably heard about ​West Ham United's pursuit of Maxi Gomez. The Celta Vigo man was said to be nearing a €50m move to the Hammers, but he remained quiet as the move failed to materialise. However, for the first time since September 2018, Gomez has spoken. According to ​El Desmarque, the 22-year-old has confessed that he has no idea whether he is going to stay or go, leaving the door open to a summer exit. If he does go, he will have no shortage of offers. ​Real Madrid and ​Barcelona now both want him, thanks to his 12 ​La Liga goals this season. Can West Ham compete with those two? Stay tuned. ​The Express claim Manuel Pellegrini is happy to offer Dzeko a huge £165,000-a-week contract, as he looks to reunite with the striker with whom he spent several years at ​Manchester City. With ​Andy Carroll nearing the exit door at the London Stadium, West Ham want someone to take them to the next level, and Dzeko could be that man.